1 level including garage. New b/i kitchen: Viking refrigerator, new microwave, disposal in farm sink, d/w,island , , chop/block countertops, pantry, breakfast area + covered BBQ porch. Refinished h/w floors thruout. high ceilings, new insulated windows. Burglar/fire alarm. New baths. 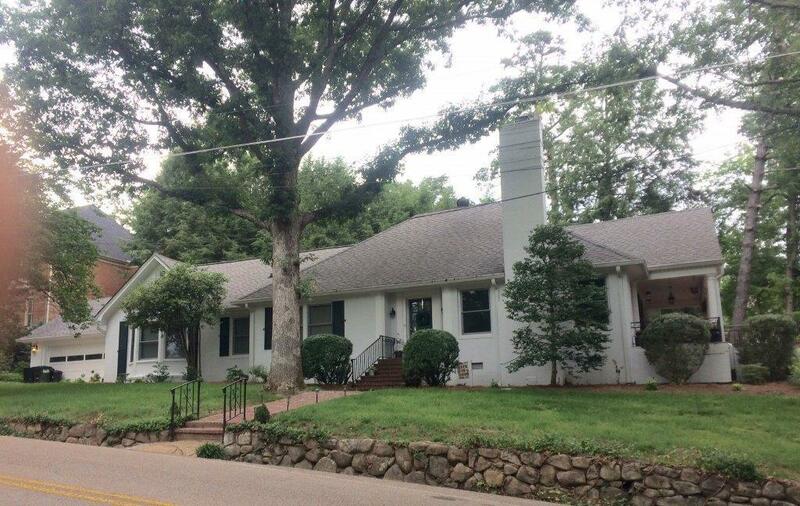 Lg great rm, gas logs in w/b f/p, large formal dining room , gigantic open & covered porch w/ view. Possession 30-45 days off, subject to tenants' rights. Call for particulars.